There are so many smart phone apps out there…how do we know which ones to use? We did some homework to find the top new apps you need to know about now. These are sure to make their way to your home screen and become a part of your everyday life. Slice is a new app that you are sure to fall quickly in love with. 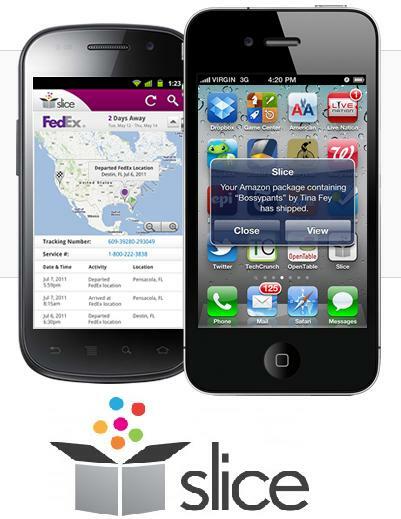 This new app simply keeps track of what you buy online and even tracks your packages for you. No need to dig through your crumpled receipts. Slice even keeps track of your LivingSocial, Groupon, Bloomspot, and Gilt City vouchers. To see how it all works, check out this video. One of the best ways to stay fit is by using My Fitness Pal. 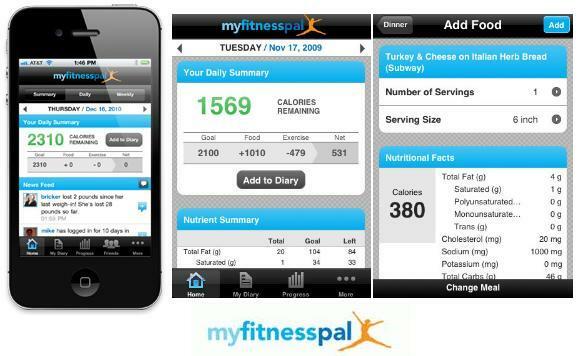 It’s the perfect app for those who are looking to shed a few pounds or to stay in good shape. Plug in what you eat and do for exercise each day and it will track your progress and let you know how many calories you have left to eat to reach your daily goal. It’s proven that recording what you eat helps you to loose and maintain your weight. My Fitness Pal will quickly become the best trainer you’ve ever had and it’s FREE! You can find out more information here. P.S. The pounds are falling off everyone we know using this app. 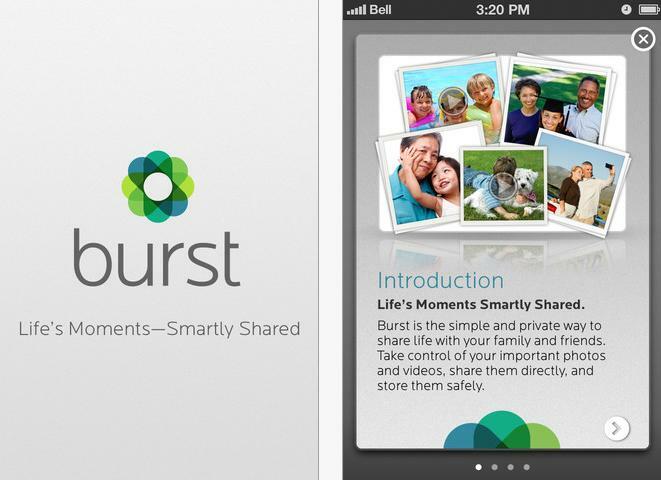 Burst is the newest way to share videos and photos instantly with family and friends. It organizes them for you with a one-touch share system via any internet-enabled device that is SO easy to use. Just sign up, create your personal list and start shooting video and pictures to share with your loved ones. We used this app all weekend long and our relatives are still thanking us! This is truly a great app for anyone, but it is sure to be a Mom’s new best friend. Check out their website for more information and to sign up now! 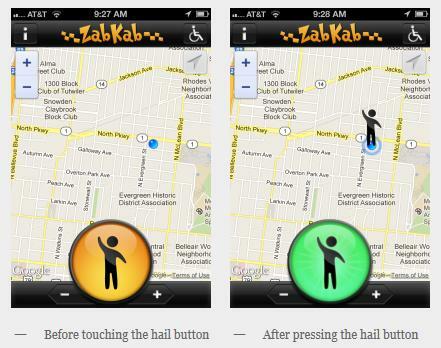 Now you can hail a cab with the push of a button…so cool! With this fantastic new taxi app, you can quickly see which cabs are using the app and they can see you. Your location is sent to the cab drivers phone and you don’t have to worry about having to wave your arm around until it falls off. This app is a win-win for everyone. Passengers find taxis, taxis find passengers. You can find more information about ZabKab here. 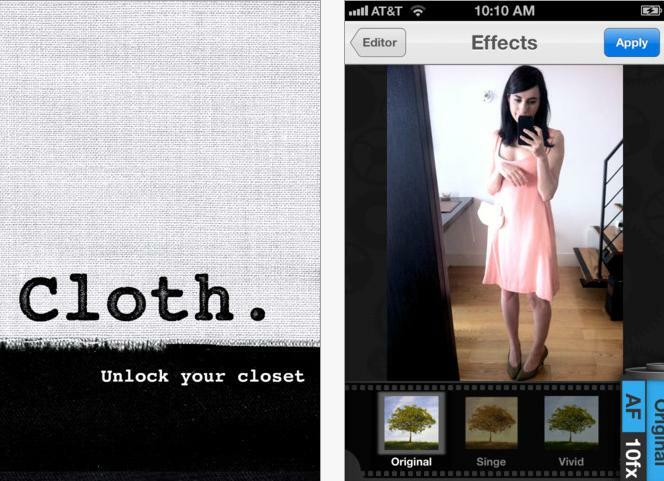 Cloth helps you to organize your outfits by being able to categorize your wardrobe into separate categories. It even suggests outfits from your ‘Cloth-set’ depending on the weather. This is perfect for fashion lovers and for those who are indecisive on what outfit to wear. Create, share, and save outfits for later. Cloth is going to quickly become your newest obsession! Unlock your closet with this informational video. I am constantly asked by friends and family alike if I can come and “edit” their closets. It seems that without the stern hand of a disinterested party, people really do have a hard time parting with anything – I have even found one anonymous friend holding onto her junior prom dress. Initial Edit: I start at the left side of my closet, working my way to the right, and pull out every item I haven’t worn over the past year. The key here to purging is quality and frequency. If you’re debating over a poor quality top that you “might” wear one day, but haven’t yet, toss it. Chances are, it will cost you more in dry cleaning than what the shirt’s actually worth. Keep your maxi dresses, leather pants, pencil skirts, fur vests, wide-leg pants and capes. Toss your overly girly dresses, circle skirts and cropped shirts. One rule of thumb is to always keep bags and shoes. Accessories are cyclical. My best friends in college chipped in for my birthday and bought me the denim Dior Saddle Bag, channeling Carrie Bradshaw. I stored it away a couple of seasons later, but boy am I glad I hung onto it. Rediscovering an oldie but goodie is like shopping in your own closet…for free! Break It Down By Style: Whatever has survived in your closets after the initial edit should now be organized by style. I have a separate closet for skirts and dresses, and my main closet is broken down into two areas: button-downs (I can never have enough white ones) and every other kind of top. Break It Down By Color: Your closet should have some semblance of organization by this point. Now it’s time to think like a kid, ROYGBIV. I organize my closet (within style) by color. This lessens the chance of items getting lost in the mix and makes it easier to see what you actually have. Plus, it looks pretty! **Jeans Tip: I’m a big believer in folding your jeans to take up less hanging closet space, the most coveted kind of space. I have one pile for my skinnies, another for boot cuts and the last for bells and wide-legs. Get Philanthropic: Don’t throw out your rejects. Here are a few places where you can donate. Remember, what’s one person’s trash is another person’s treasure.